Don Quixote blends the quintessence of Golden Age Spain, blurring poetry and fantasy into a surrealist adventure. Specially handcrafted to celebrate the 400-year anniversary of author Miguel de Cervantes' death, this journey reveals a Spain unchanged from the time of history and legend. You'll live out a knightly story, paying tribute by immersing yourself in the tales of La Mancha. 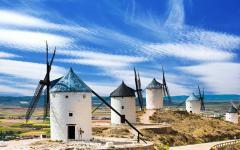 Picture windmills, wine estates, walled towns, and the quixotic realm of Cervantes's greatest work. Don Quixote is a literary masterpiece of surrealism, immersing the reader in a blur of myth and poetry. 2016 marks the 400-year anniversary of author Miguel de Cervantes's death, yet the Spain of his imagination remains very much alive. 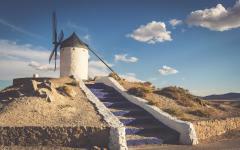 Immerse yourself in his home region of La Mancha, and you will discover that quaint traditions and quixotic tales continue to dominate the landscape. You'll find a version of old-world Spain from the fables, one of the giant windmills, boutique bodegas, majestic paradors (luxury hotels in converted historic buildings), and streets of intriguing cobblestone. As you explore Cervantes' life and times, you capture the untamed spirit of Quixote's idealistic fairytale. 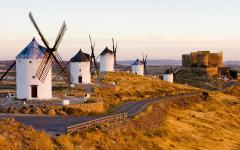 By settling into the rhythm of La Mancha, the destinations feel absolutely fictional. And that's the great tribute to both Miguel de Cervantes and the Spanish Golden Age; the hypnotic ability to transport you into another realm. 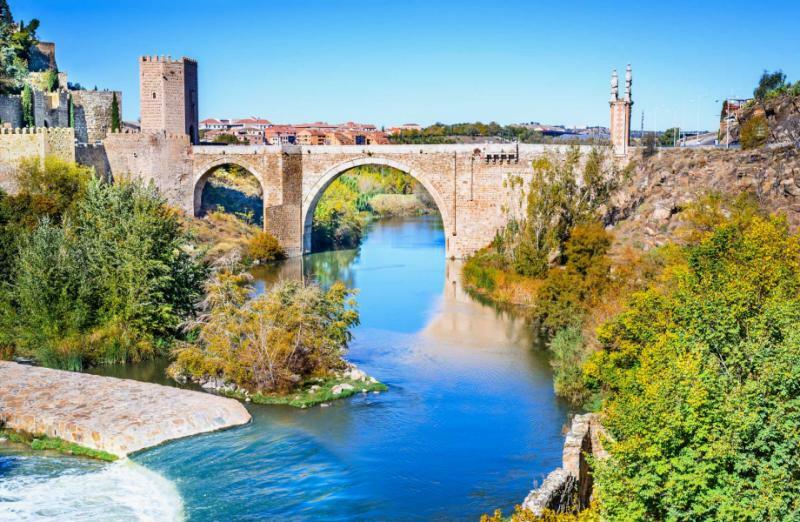 This luxury Spain tour has been uniquely crafted as a tribute to Miguel de Cervantes on the 400-year anniversary of his death. 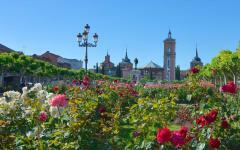 An expert literary guide leads you from Madrid to La Mancha and the glory of Spain's Golden Age. You'll recreate the knightly tales by traveling through rural landscapes, as well as exploring significant places from Cervantes' life. 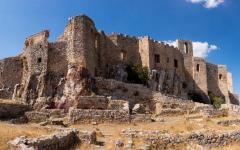 Five-star accommodations continue your immersion in a medieval era, including two nights in a wonderful parador castle. 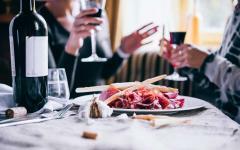 Much like Quixote and Cervantes, food and drink play an important part. 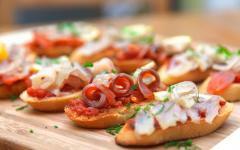 Think tapas trails, ancient brandy cellars, and culinary feasts delivered to al fresco terraces. Transfers are in a luxury saloon vehicle, and the pace is relaxed, yet compelling enough to spur a turn of the page. 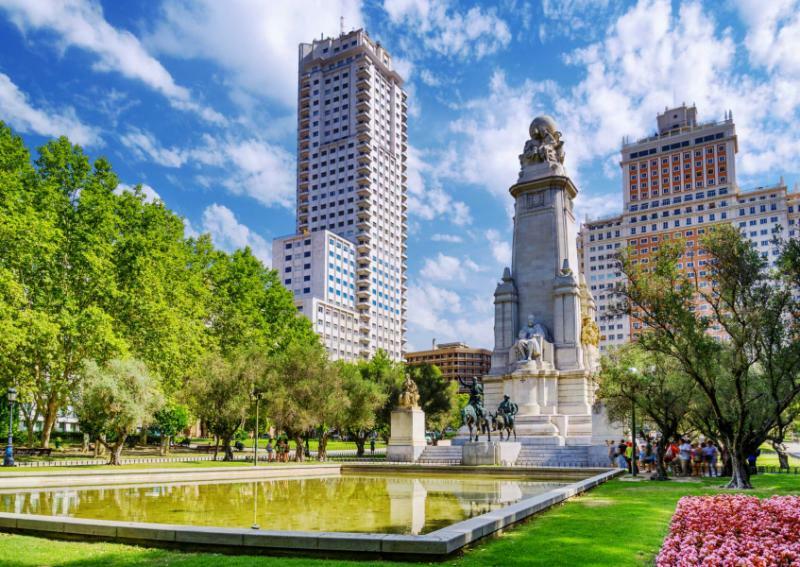 Recreate the swashbuckling adventure in Madrid, where Quixote and Sancho Panza gaze down in immense sculptured form. 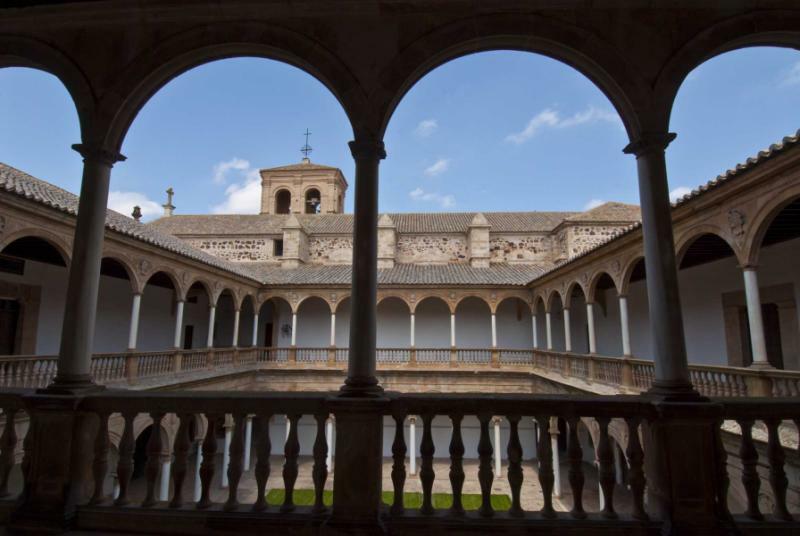 On a day trip to the World Heritage Site Alcala de Henares, you receive an intimate perspective into the author's hometown. 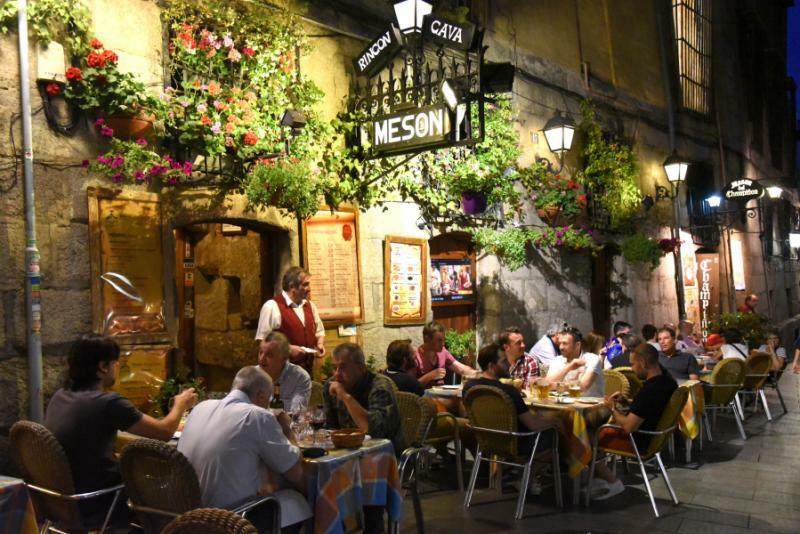 The following evening, traditional tapas dishes blend with literary history as you wander through Huerta, an area made famous by many Golden Age writers. 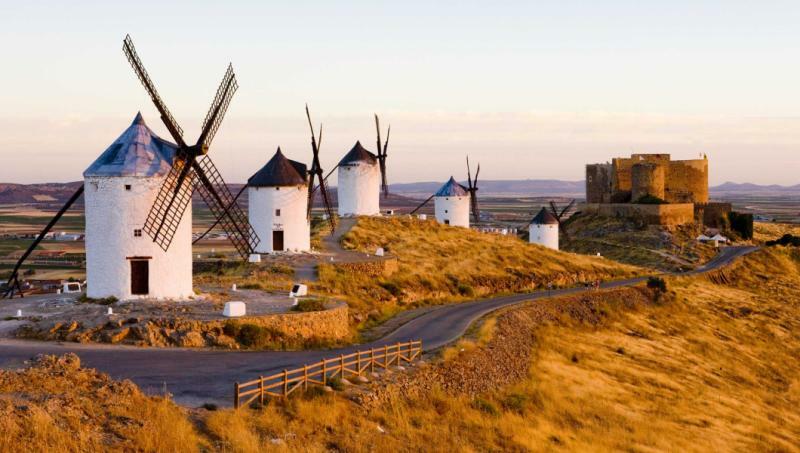 Then, you come face to face with the windmills Quixote mistook for giants, along with the cute village where Cervantes penned much of his masterpiece. As you move through the region, you explore castles, homemade cuisines, vast untamed landscapes, and ancient open-air theaters that still perform Don Quixote productions. 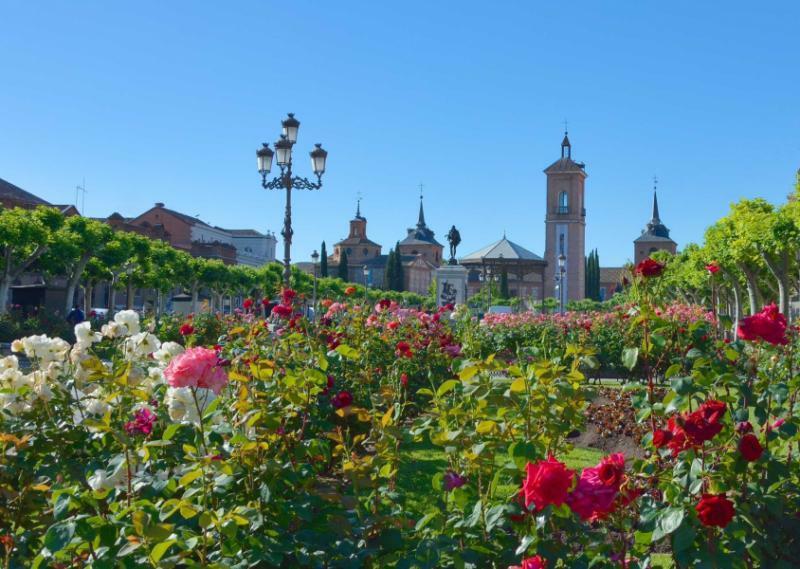 From Almagro to Valdepenas to Torrenueva, you journey into the heartbeat of La Mancha, each seductive stop another chapter detailing famous knightly acts of chivalry. The following nights are spent deep within this landscape, with unique vineyards and paradors offering space to reflect on how mystery blurs into fantasy. While Cervantes writes about the “place whose name I do not care to remember,” you're seduced by the fairytale image of old-world Spain, one that continues to persist in the memory. 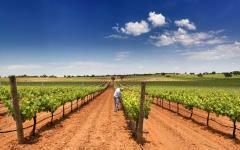 Landscapes come straight from the author's narrative, revealing the subtleties and charms of La Mancha's deepest soul. Cervantes' greatest ability was to make an idealistic world seem real; so on the 400-year anniversary of his death, this tribute tour offers a journey into a surrealistic realm within Spain's ancient world. 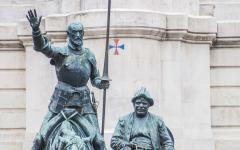 Miguel de Cervantes is remembered in the heart of Madrid. 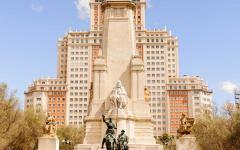 A towering statue of Don Quixote and his squire Sancho Panza stand on the Plaza de España. There's an air of mischief and indomitability to Quixote's pose, the fictional hero cast in the compelling bronze of fairytale. 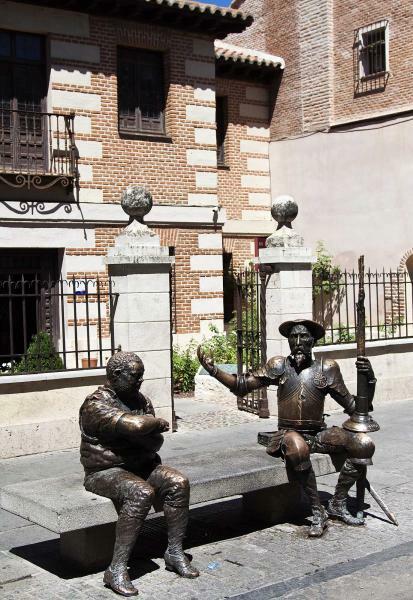 Seated above the pair is Cervantes, the legendary storyteller offering a gaze of contemplation. He's master of his realm, able to blur the distinctions that mark the lines of fantasy. To one side sits a peasant woman, Aldonza Lorenzo, while to the other sits the idealized and beautiful Dulcinea del Toboso. 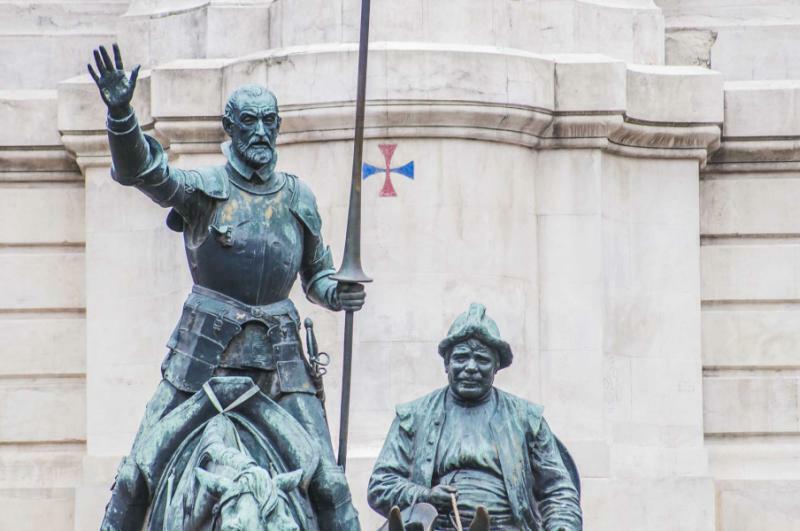 Together, they form the surreal image of Don Quixote's true love, representing both the knightly reward for reviving chivalry as well as the connection with La Mancha's village roots. You'll be greeted at the airport and transferred to the five-star Principal, a boutique hotel set in the heart of old-world Madrid. 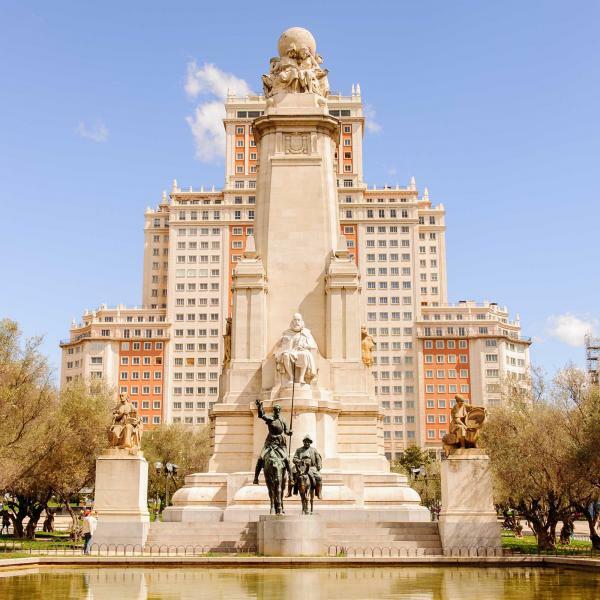 After time to freshen up, you'll spend two hours visiting the city's most important landmarks, culminating in the monument to Cervantes and his immortal characters. An expert Cervantes guide conducts the tour, helping to unravel the complexities of both his stories and his life. Tradition comes alive as the bronze Quixote watches you walk by, your guide starting to open the chapters of one of the most influential writers in world history. 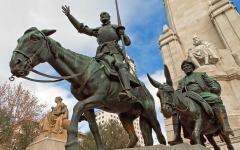 400 years from his death, Cervantes continues to remain as important today as he was in the early 17th century. At the time, many authors expertly moved readers to another place; Shakespeare, who died on the same day as Cervantes, is a prime example. But this great Spanish author began to take readers into another realm. Consider reading some of our travelers' Spain travel reviews, and see how they seemingly felt as if they were in a different era and world altogether. Cervantes' hometown is wonderfully preserved, a fusion of architecture revealing glimpses of Rome and a significant Arabic influence. 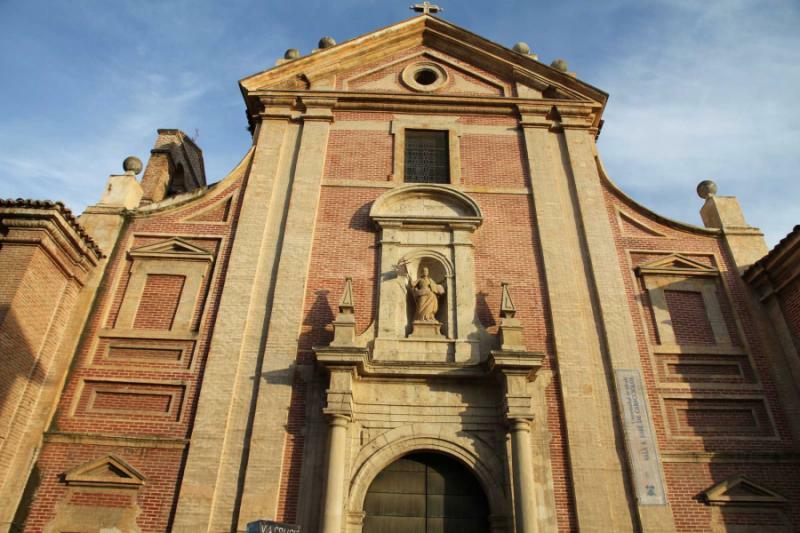 Alcala de Henares encourages you to open your imagination and embrace possibility. Cute plazas offer al fresco terraces and space for contemplation; narrow streets wind past medieval stone, and the 15th-century Complutense University reveals the city's academic past. 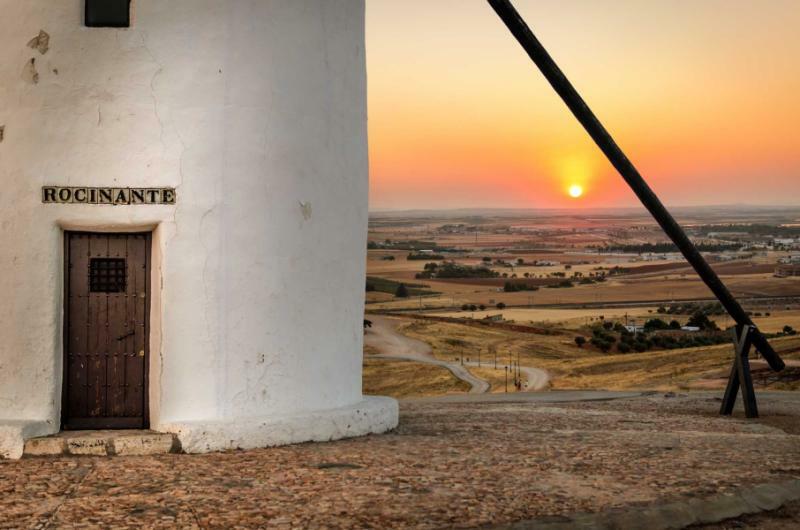 This World Heritage Site offers an insight into Cervantes's early years, a chance to admire his early influences and take in the enduring scents of Spain's Golden Age. You'll visit various monuments, including a fabulous theater and the towering cathedral. 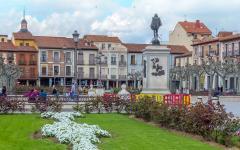 While Alcala de Henares has preserved the past, the Huerta district of Madrid likes to atmospherically celebrate history. In the evening hours, you're guided along the Barrio de las Letras, exploring the area where so many of Spain's Golden Age writers have lived and written. Sensual smells waft from tapas kitchens; terraces are alive with centuries-old recipes, and there's enough inspiration for a hundred novels. 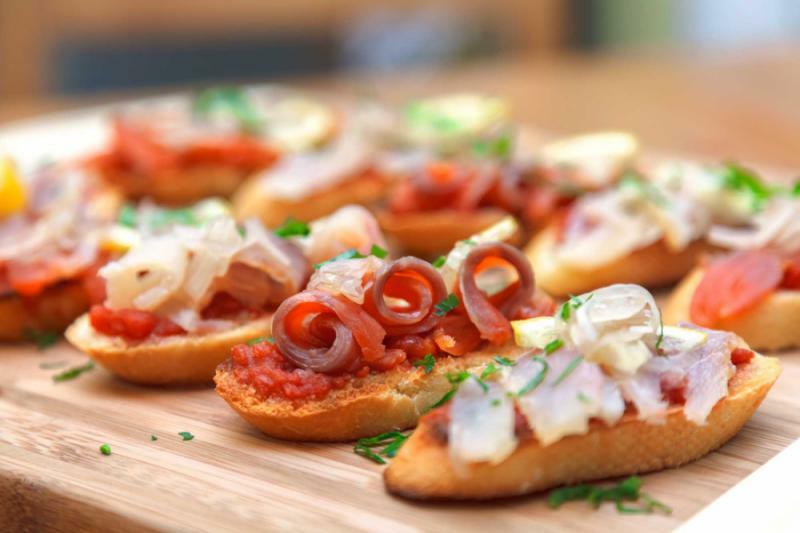 Your tour combines multiple stops at iconic tapas cafes with a discovery of Cervantes. You'll visit the home where he lived, then stop for a heavenly cocido stew of chorizo and chickpeas. 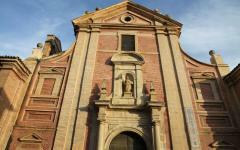 Try an oreja a la plancha (pig’s ear) then discover the convent where Cervantes died and was buried. Then tuck into huevos rotos (Spanish broken eggs) while discussing your favorite Quixote lines. Exploring these ambient lanes is both a journey through Cervantes's life as well as a trip into the sublime tapas of Golden Age Spain. 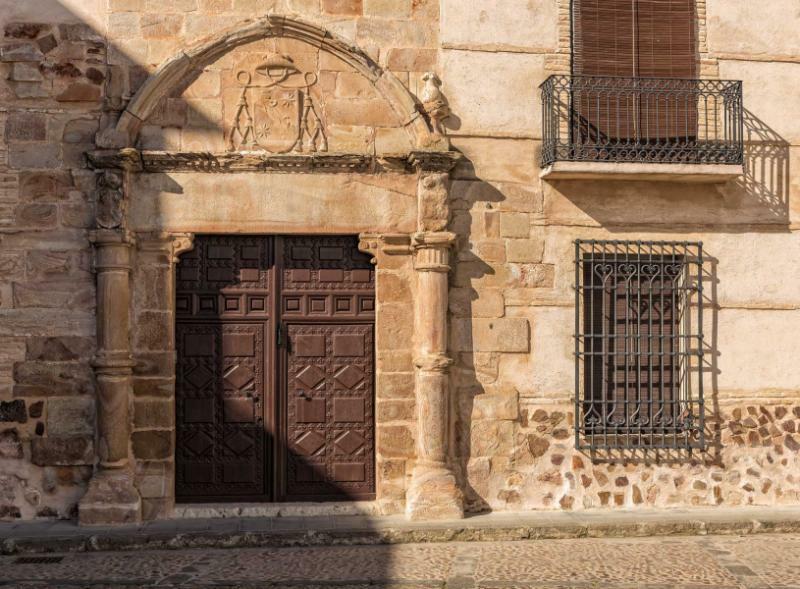 Relish the scent of old leather, the elegant ceilings, and the quill waiting to be dipped in ink, as this morning you travel to Esquivias, the village where Cervantes married his wife and wrote most of the second part of Don Quixote. His manor house wonderfully evokes the style of the 16th century, both in the rustic smells and the sense of gentle elegance. 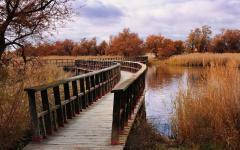 Moving deeper into La Mancha, you begin to experience the landscapes from a surreal world. Throughout this itinerary, you travel by luxury saloon vehicle, moving at a relaxed pace that ensures you can indulge in the panoramas. It's much comfier than traveling on Sancho Panza's donkey but as reliable as Quixote's faithful horse, Rocinante. If any image most excites the imagination, it's the “wild giants with huge arms.” They still stand untouched, slowly turning above a landscape of whitewashed houses and olive plains. When the confused Sancho Panza tried to convince Quixote that these were not giants but windmills, Cervantes' hero replied, “Obviously, you don't know much about adventures.” Today's journey is an adventure, heading inside old windmills then driving to deserted villages, tasting some local Manchego cheese before exploring a well-preserved 11th-century castle and dining inside its ancient walls. 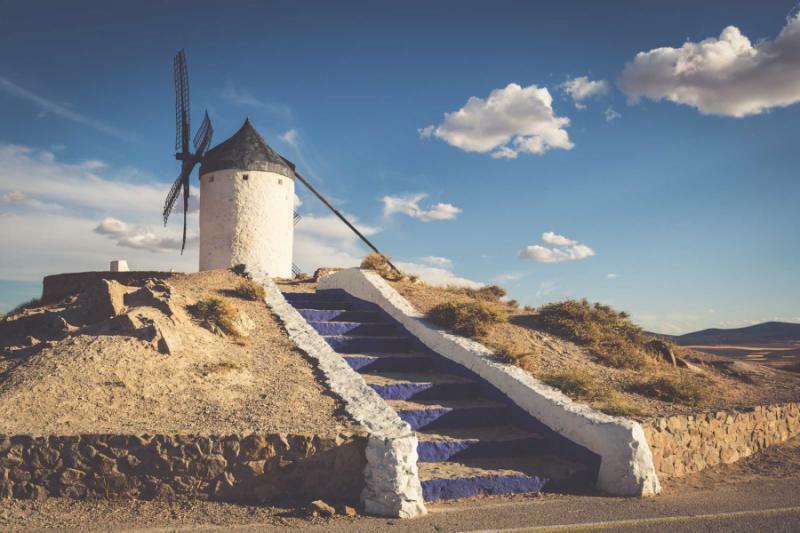 La Mancha is quick to pull visitors into its spell, a place that is softly familiar, yet unlike anywhere you'll have seen before. After a few hours, you've already succumbed. After this tranquil day of exploring, you spend the night in a 16th-century parador. Returning to Almagro, you have a relaxed afternoon in the old town, discovering the secrets from centuries past and relaxing at the parador. Palaces and aristocratic casas (houses) line the streets, and Don Quixote's lines continue to be uttered here, with live performances taking place most evenings. 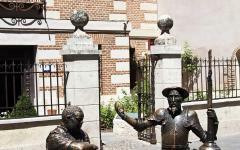 You'll spend the evening at an open-air theater where Cervantes works were performed while the author was still alive. Amidst the open-air theater, you enjoy a live performance of Don Quixote, admiring another realm come alive in the old-world atmosphere of Almagro. 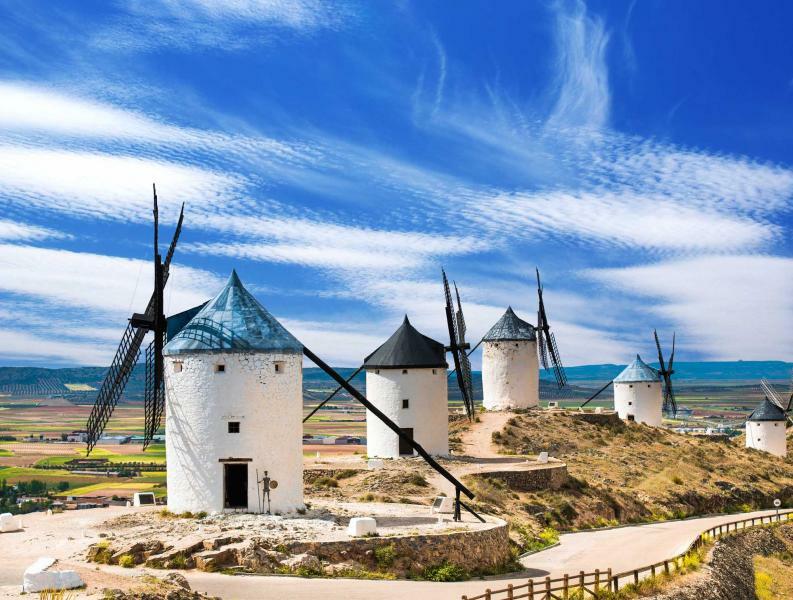 By traveling through La Mancha, it's easy to picture the scene, Quixote riding Rocinante with Sancho Panza plodding along behind. Bound by his acts of chivalry, the iconic knight quickly grew into a worldwide phenomenon. The legend was born on these landscapes. 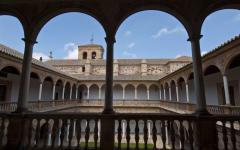 Today, you visit the inimitable Calatrava la Nueva Castle Convent, a place that delights in the stories of legend. 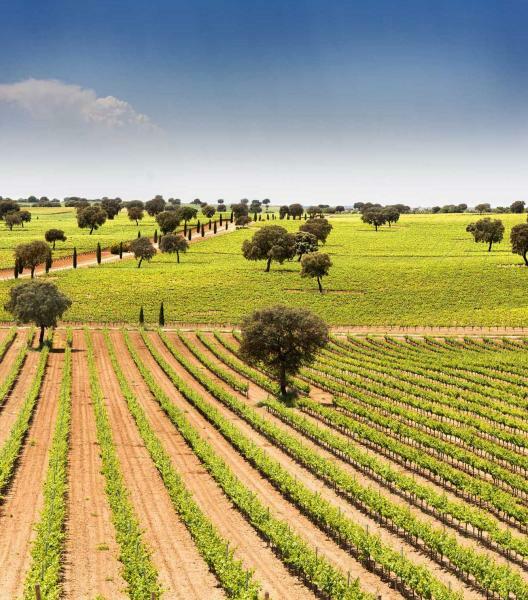 Moving into Valdepeñas, you're surrounded by the elegance of vineyards and olive trees. This is one of Spain's biggest wine producers and the boutique La Bodega de las Estrellas continues to produce wine inside gargantuan terracotta barrels. Like each day on the itinerary, there's an indelible sense of how tradition has been preserved. 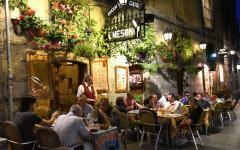 This itinerary is not merely a chance to step into the charm of Golden Age Spain. 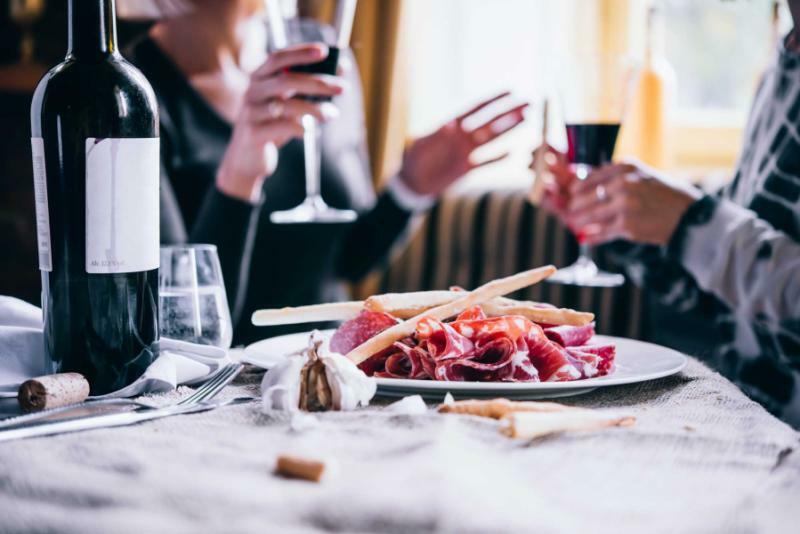 As the scents spill from your wine glass, it's an opportunity to indulge in a region that's seductively traditional yet rarely visited. You'll continue to Torrenueva and spend the night at the fabulous five-star Salles Hotel La Caminera. Today's journey ventures into the heartland of the La Mancha plains. Rows of vineyards cascade down to a whitewashed farmhouse; orchards run along the riverbanks, and the landscape reveals softly scorched tones. Villages reveal a resonant state of ruin, the crumbled stone suggesting that all might be abandoned. But then a few locals emerge to watch visitors pass by, or a church bell softly chimes. You visit Viso del Marques and Villanueva de los Infantes, two fairytale images of Cervantes's time, tiny towns with a rich heritage and an intriguing tale. 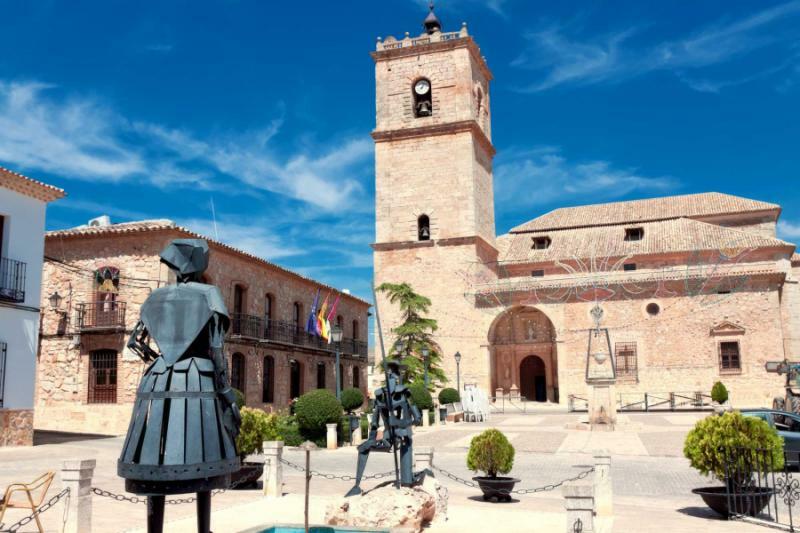 With an expert guide, there's lots of time to enjoy coffee on a town plaza and discuss more of Cervantes' life. A man of noble background, the author would later end up in a tiny prison cell after arguments with the villagers of Manzanares. Much of Don Quixote was written while incarcerated, an indication of how Cervantes had to recreate an image of La Mancha from his own imagination. 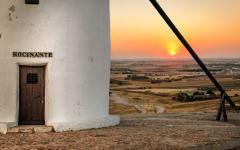 It's this image of La Mancha that you intimately explore today. 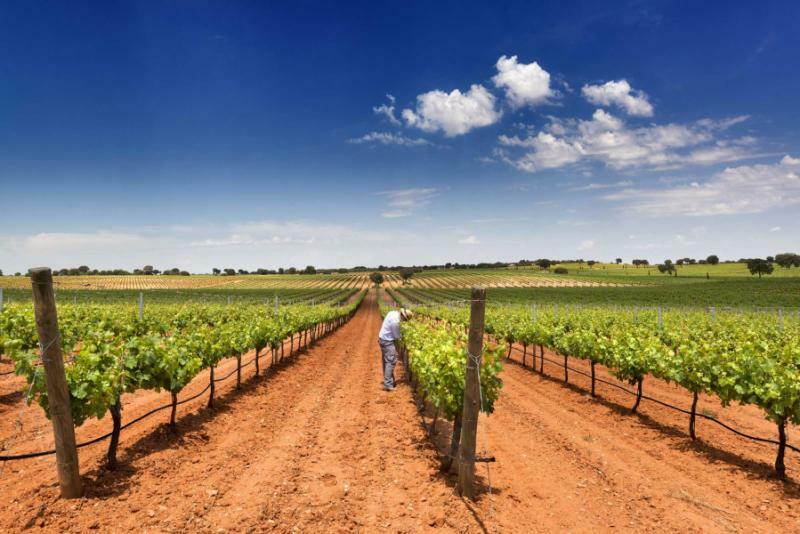 Feeling the stone beneath your feet and the wine on your palate, you're certain that La Mancha is real. Yet there's something about the landscape that's hypnotically fictional. “Somewhere in La Mancha, in a place whose name I do not care to remember...” and so begins the epic tale of Don Quixote. Historians consistently name Tomelloso as that place, and it seems almost impossible to deny. A Renaissance beauty stands around terraces of red wine bottles and coffee fumes while the horse-riding hero stands proudly at the village's heart. 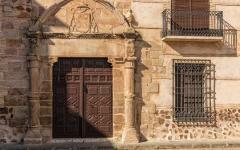 Tomelloso is the town of Cervantes' imagination, the place that revels in preserving yesteryear. 400 years on from the author's death, the municipality remains an area where life seems to blend swashbuckling ideas of adventure with the simplicity of tradition. You enjoy closed-door access to an ancient cellar for a tasting session that moves from brandies to delicate liquors. The cellar is closed to the public, but a visit has been specially arranged for this itinerary. Taste a century-old brandy and admire the fragrances that continue the journey into a poetic yet phantasmal world. Lunch is equally compelling. 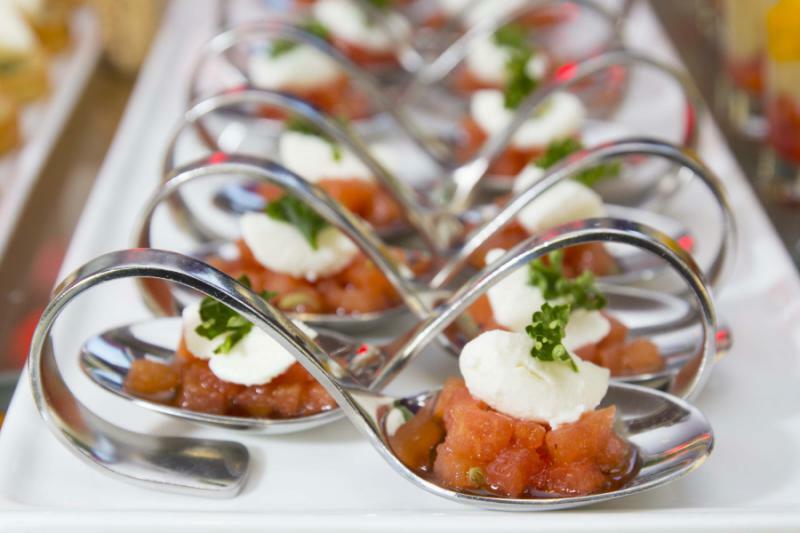 Head to a traditional restaurant and get invited into the kitchen for a private cooking class. Traditional dishes like migas (Spanish breakfast “crumbs”), gachas (Spanish ancestral dish), and pipirrana (Spanish potato salad) are prepared, following recipes passed down from the era of Cervantes. After breakfast at the hotel, you'll be privately transferred to the airport for your departure flight. Even though you are departing Cervantes’ Spain, you remain in his realm, because even when the final lines have been read, Don Quixote has been a book that had you dreaming of adventures through the night. $4,336 per person based on double occupancy. 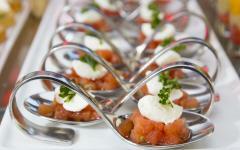 The price is customized based on final hotel choices, travel dates, and other custom preferences. 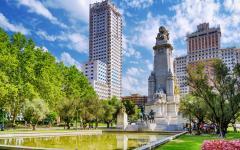 "The trip organization by this Spain travel agency was excellent." 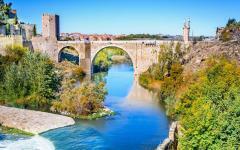 "Trip was organized extremely well by our Spain travel specialist. " "All guides were very professional and knowledgeable."